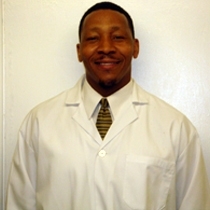 At Active ChiroTherapy in Houston, Texas, licensed chiropractor Dr. Yaphet Hill treats clients for a variety of ailments using a natural approach to their health and well-being. Before becoming a chiropractor in 2005, Dr. Hill was a personal trainer focusing on sport specific injuries and muscular imbalances. He went on to earn his degree from Texas Chiropractic College, establishing his practice, Active ChiroTherapy, in Houston. Offering active therapeutic massage, whole food supplementation and spinal adjustments, among other services such as gua sha and cold laser therapy, Active ChiroTherapy has been open since 2010. Mobile services are available to current clients. Dr. Hill sees clients suffering from headaches, sprains, strains and injuries, and also works with those trying to lose weight. Before beginning any weight loss program, Dr. Hill recommends resting metabolic rate testing, a service which is available through his office.